At APH Plumbing and heating we only supply and fit recognised leading brands of boilers - Viessmann, Vaillant, Ideal - names you can trust. 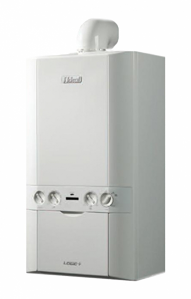 If you have another choice of Boiler in mind we can supply and fit that for you. So if it's a standard heat only or combi boiler you are looking for give us a call to discuss your options and for a free quotation. We also offer routine boiler services. A poorly serviced boiler can cost you money in running costs and eventually repair costs, so contact us today to arrange a routine boiler service. Upto 7 years guarantee on new boilers and a 1 year guarantee on all other parts and labour as standard.